With one of the most extensive ranges of marquees in the Byron Shire, you can be sure that we have the right size marquee to suit your needs. 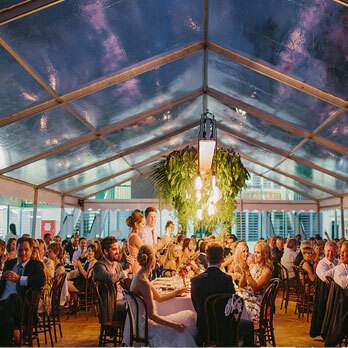 From luxury weddings to small backyard parties – we have every size and style of marquee you could possible want to hire in Byron Bay! 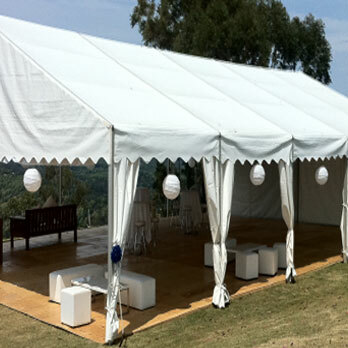 All of our marquees are cleaned regularly and are of the highest quality to ensure the safety of you and your guests. 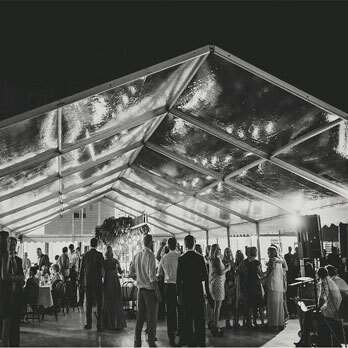 Our preference for the Hoeker style marquee means we can help you create a beautiful and unique marquee space without the hassle of centre poles or ropes getting in the way. Our silk lining option (available for all 6m, 9m and 10m marquees) is the perfect way to add some sophistication to any event. 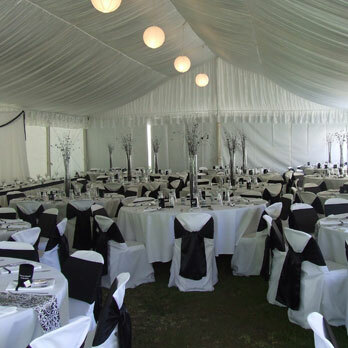 Or if you’re looking for more of a WOW factor – you can’t go past out clear marquees. Availablein both 6m and 9m lengths, this is the perfect way to enjoy your ‘dining under the stars’ experience while still being prepared for any weather situation. Our talented staff are also experts in lining our marquees withlights to create a beautiful ambience and atmosphere for the evening! Our range of smaller marquees, along with the Hi-Top Pagodas and Quickshades, are all kept to the same high standard as our larger function marquees. They are great for use at a home event, for your caterers, at markets stalls or any other place when you just need a bit of protection from the elements. Our marquee packages include the labour of setting up Friday and packing down Monday as well as half the walls of your marquee- which are available in both white and window options. If you are unsure about what size marquee will suit your needs just contact us today for a FREE, no obligations site inspection and consultation.